Why Buy a Toyota Sedan? Why Buy a Hybrid Vehicle? Why Should I Buy a Toyota SUV in Warwick? Take on the Warwick Winter with New Tires! 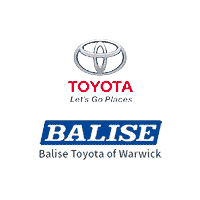 Balise Toyota of Warwick	41.74201, -71.429626.